Had this rug dropped into me the other day. The owner admitted that she’d had a little accident. When I inspected it the ‘little’ accident was a whole glass of red wine. She feared that it was ruined but then told me that she’d done nothing to try and clean it up. That was something I was glad to hear. 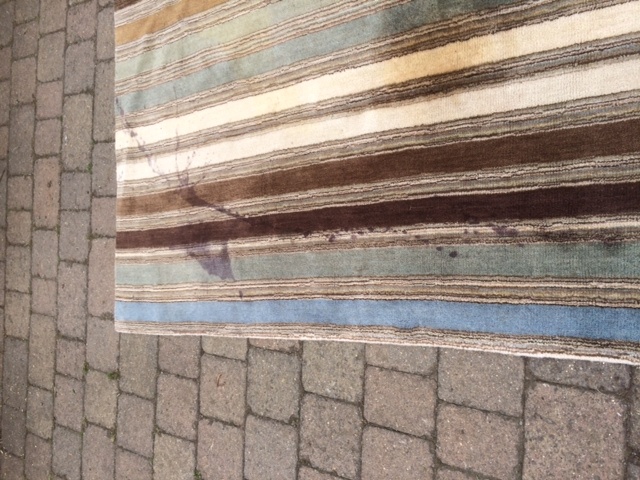 On too many occasions a problem stain is made worse by the use of inappropriate cleaning products from under the kitchen sink or by overzealous use of products which can assist in stain removal. 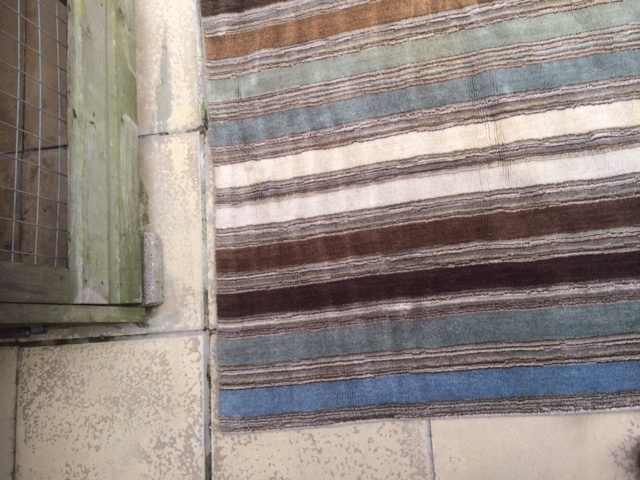 Well, after some time using a combination of some of the specialist spotting solutions I have I was able to rid the rug of its wine stain, and a thorough deep clean has brought it back to as new. 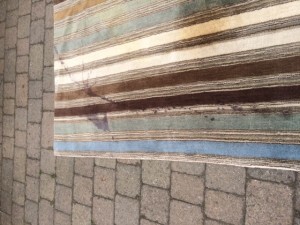 If you have an accident read some of the simple advice on our spot and stain page. If we’ve already cleaned for you then make sure you use our professional spotting solution that you have been given and the drama shouldn’t become a crisis.